Burlington, Vermont is a blend of city sophistication and stunning natural beauty. Located on the shores of beautiful Lake Champlain, this small city offers plenty of outdoor activities and urban amenities. Outdoor enthusiasts will enjoy boating and swimming on the lake in summer or skiing the trails in winter. For a more low-key vacation, browse downtown’s many galleries, boutiques and antique stores. 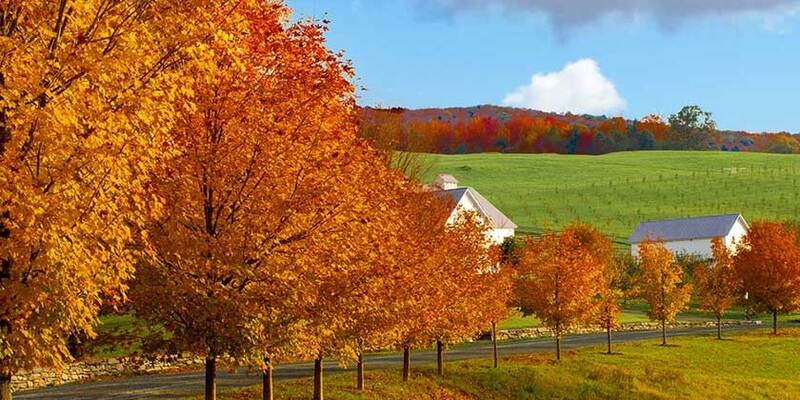 Foodies will love the area’s fine dining and tours of local wineries, breweries, and the Ben and Jerry’s Ice Cream factory in nearby Waterbury.